When you are ready to launch your video blog on a website, you'll find plenty of free and paid sites to choose from. The site you choose is determined by your expectations and plans for the blog, such as whether you plan to monetize the blog and whether it is a video-only blog or you want the option to add text and photos. Most websites provide analytics and have a mobile app or optimized version for mobile devices, but if this is important to you, confirm it with your host. If you plan to publish video only, your video blog website can be as simple as a YouTube channel or a Vimeo channel, where you showcase videos you make along with videos you like that are uploaded by others. Many blog hosts share video on their websites by linking to an existing video published on YouTube, Vimeo or other video host, so you may want or need an account with YouTube or a similar website even if you plan to set up a blog that includes text and other features with a different provider. Setting up a video blog on YouTube or Vimeo is simple. Both sites ask you to provide basic information to set up an account, provide guidelines for your video uploads, ask you to add titles, tags, captions and descriptions for SEO, and provide customization features to personalize your page. Setting up a YouTube account is free. Vimeo offers several hosting packages, one of which is free. 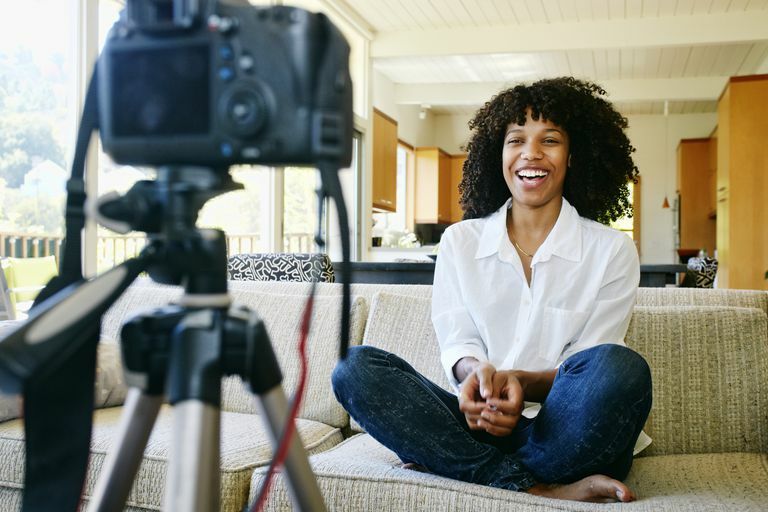 If you plan to include text and photos in your video blog, you'll want a traditional blogging provider that allows you to embed or link to videos. Blogging site providers come and go, but here are some of the best blogging websites, which have stood the test of time. WordPress has several packages available, one of which is free, but you'll need to purchase a premium package to host video. Weebly has several packages available, one of which is free, but you'll need to purchase a pro package to host video. One of the older blogging platforms, Google's Blogger is still active with millions of visitors. Blogger provides templates, though not as many—or as customizable—as other services. However, the service is free, stable and allows users to link to YouTube videos or accepts video uploads. Choose from built-in themes or build your own with full HTML/CSS control. Posthaven charges a small monthly fee. Squarespace is home to websites built on fully customizable templates, many of which are optimized to support video. Building your site and arranging its content is easy. An app for iOS and Android mobile devices brings Squarespace blogs to the on-the-go crowd.